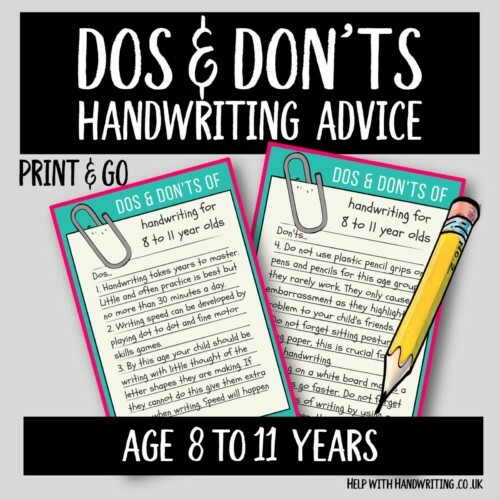 Ever wanted some quick handwriting advice about what your child should and should not be doing? You will find everything you need here with these do and don’t guide. 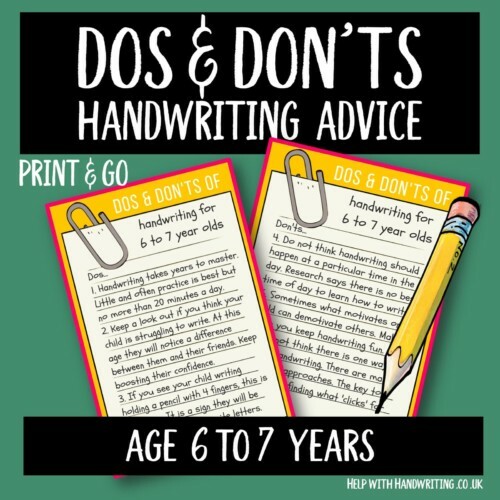 Use this essential dos and don’t guide for 8 to 11 year olds to help your child accelerate their handwriting skills. 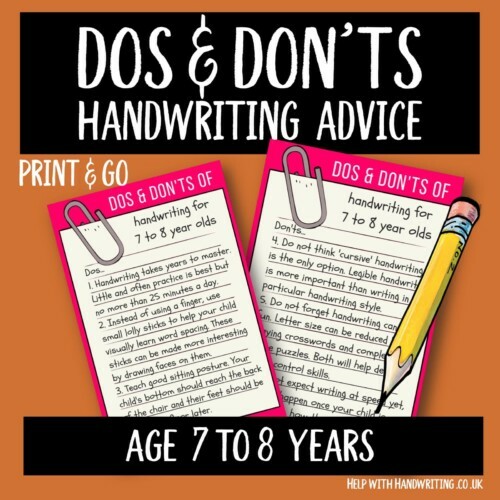 Is your child finding handwriting difficult to master? Here is a dos and don’t guide for 7 to 8 years. Giving you essential advice to help your child. Between the ages of 6 to 7 years handwriting skills are beginning to be fine tuned. 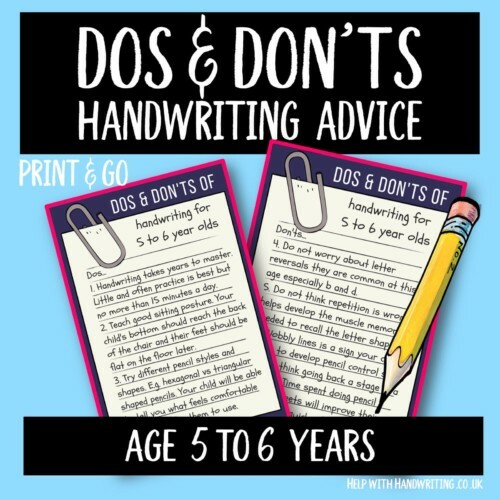 Here is a guide for parents on what to do and not do when helping your child develop their handwriting skills. Kids aged 5 to 6 years start to really excel at this age as they are ready to learn how to write. Read this essential dos and don’t guide to handwriting. 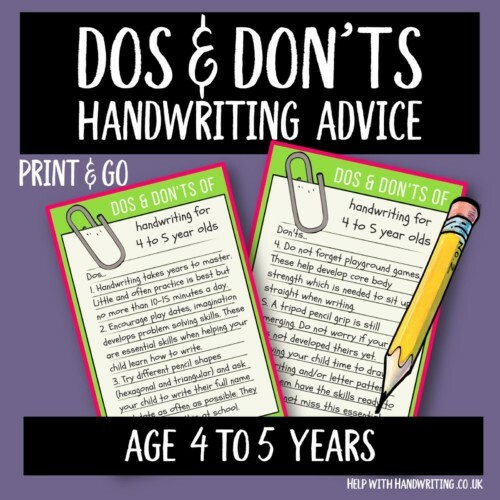 Here is an essential dos and don’t guide for children aged 4 to 5 years who are starting out on learning how to write. 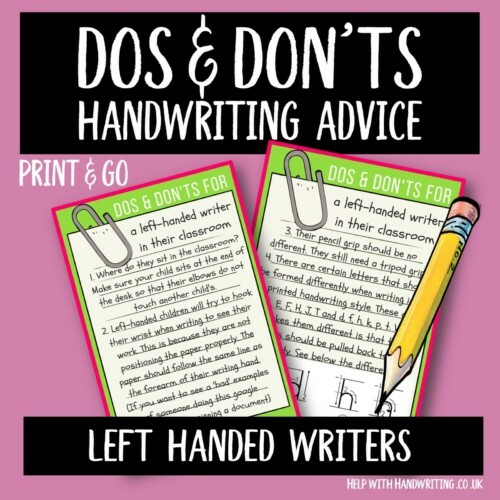 Follow these essential guidelines for helping your child manage being a left handed writer in their classroom.